Word of the byelections first came from Ontario’s former ombudsman. Andre Marin, the Progressive Conservative candidate in Ottawa-Vanier, posted the date of November 17 in a tweet but then quickly removed it before the official announcement came from Elections Ontario. The vote in the riding of Ottawa-Vanier is to replace former attorney-general Madeleine Meilleur, who quit last summer. 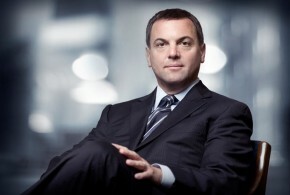 The other byelection is in Niagara-West Glanbrook, which was vacated by former PC leader Tim Hudak, who resigned just last month. Meanwhile, Ontario’s moving to set its next provincial election date for June 7, 2018. Currently, it’s set for the fall of that year, but the province wants to avoid conflict with the next municipal elections that are set for October of 2018. The post NOVEMBER BYELECTIONS CALLED FOR 2 ONTARIO RIDINGS appeared first on Zoomer Radio AM740.